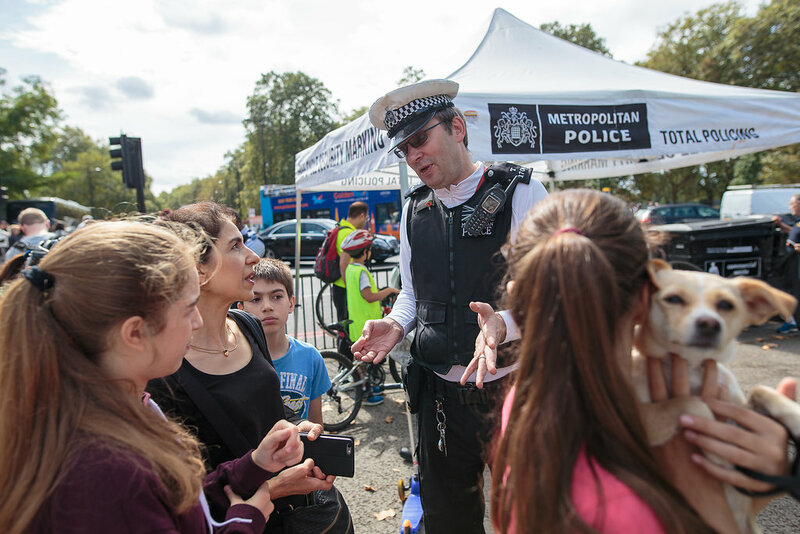 Hundreds of people enjoyed a free, family fun day of cycling activity at Marble Arch on Saturday. 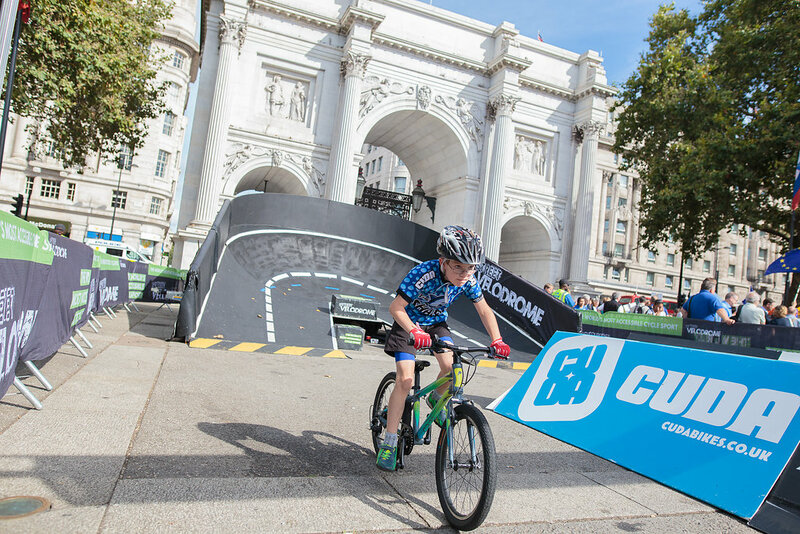 The first Westminster Festival of Cycling brought the amazing Street Velodrome to our patch enabling kids and grown ups alike to experience the excitement of track cycling. With bikes, helmets and pads provided, anyone could have a go for free. Special well done to the Dad who hadn’t cycled for more than 10 years and his daughter who’d only just taken her stabilisers off for tackling the track! 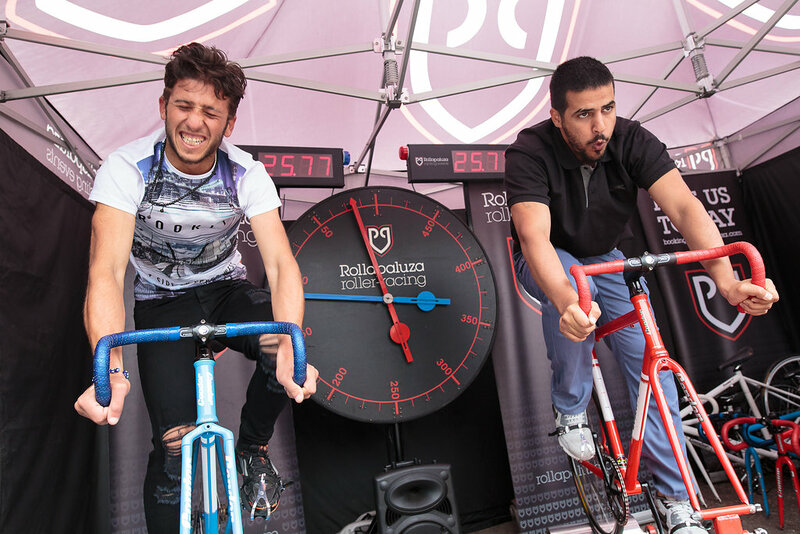 Others had a go racing friends on the static track racer or had their bike safety marked by the Metropolitan Police. 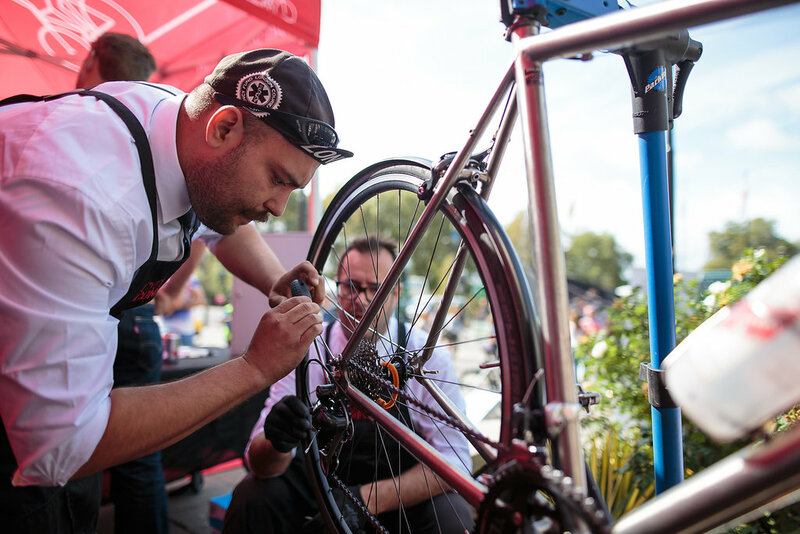 The “Dr Bike” station was also in attendance, where cyclists took the opportunity to get basic repairs done at no cost, as well as getting bike maintenance advice. 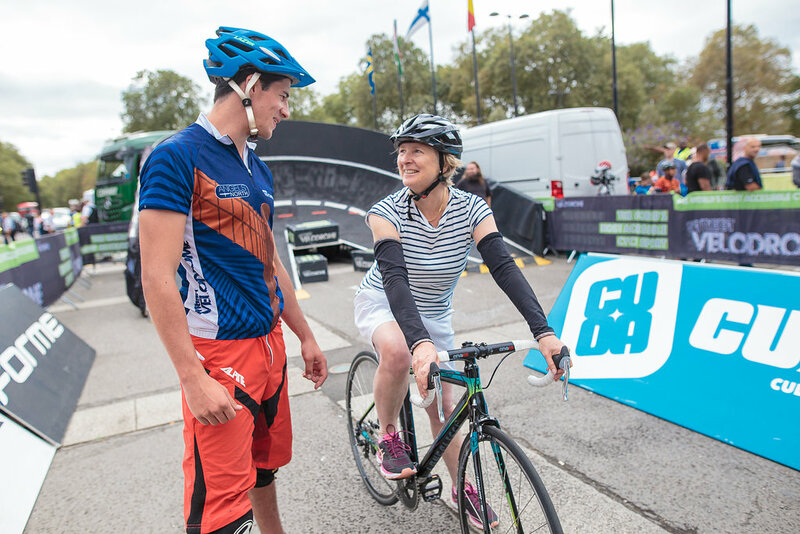 Experts handed out practical advice about fun routes and opportunities for cycling and encouraged people to try out cycling. 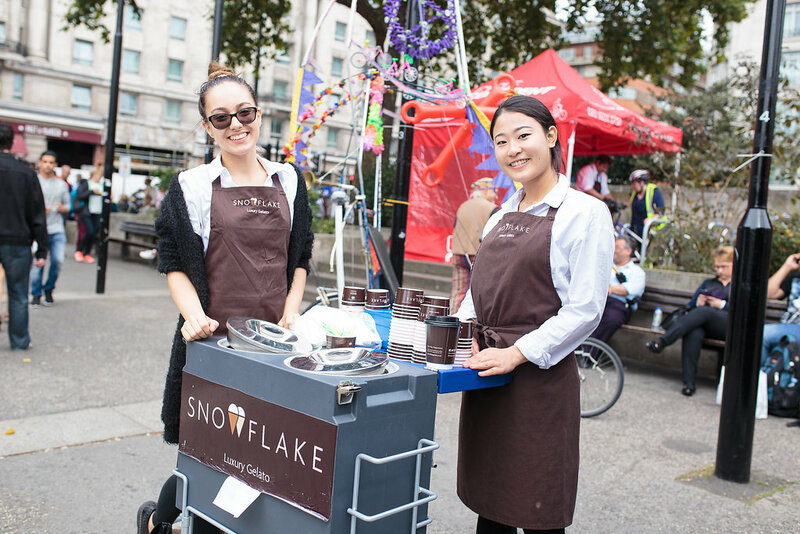 Cooling refreshment was provided by Snowflake Gelato, who have a store nearby on Edgware Road. There are lots more photos of the event on our Facebook page.